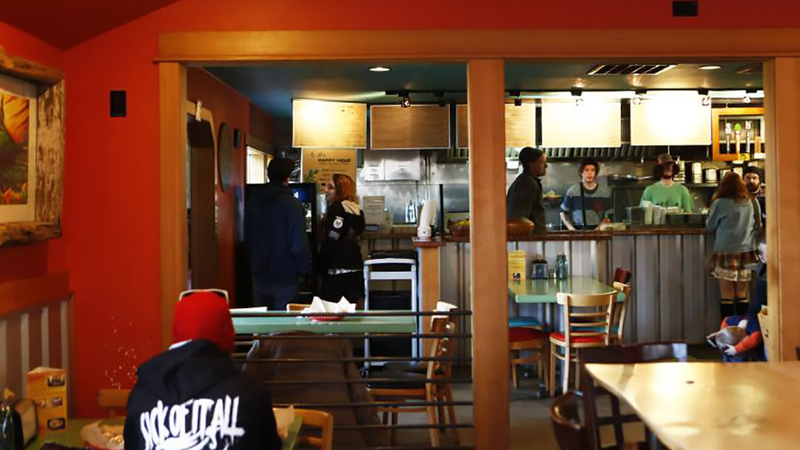 Parrilla Grill has been “wrappin’ fatties” since 2000 at their original west side location at the “flaming chicken” roundabout at Galveston Ave and 14 St, and in their newer location in midtown on Greenwood Ave. Parrilla Grill is a staple of Bend’s westside food scene. Their commitment to “exceptional customer service, environmentally conscious products, and local charities” have molded Parrilla into what it is today. They are dedicated to fresh, local ingredients. For example, they serve Country Natural Beef from the Hatfield Ranch in Brothers, Oregon which is grass raised and free of hormones and antibiotics, their coho salmon is all wild, they buy wild Gulf caught shrimp when in season, their pork is local from Hills Meats out of Pendleton, Oregon and their tofu is processed in Eugene. If you need to get someplace in a hurry, they’ve got easily-transported wraps that keep you hands-free. They offer a huge variety of globally inspired dishes and service gluten free and vegan customers with flair. They are home of the $1 PBR and they also have a loyal following for their “chowda”.